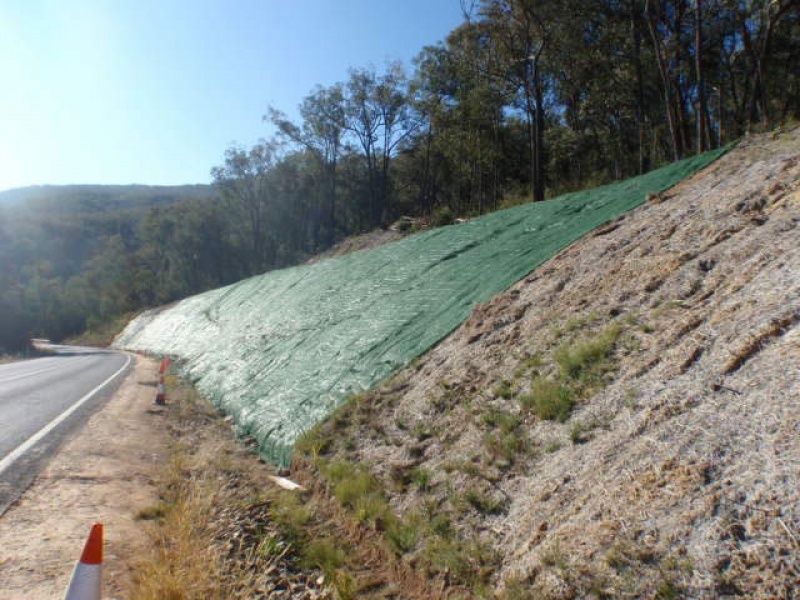 Steep slopes where both immediate and long-term erosion control is needed. 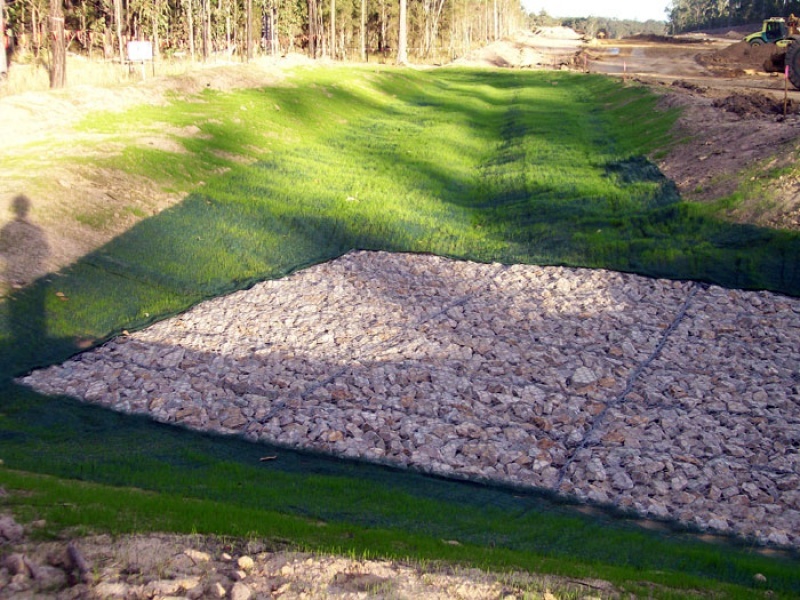 Using our patented X3® fiber technology, a Landlok® turf reinforcement mat traps more seed, soil and water in place than traditional hard armor products, yielding faster and fuller vegetation. 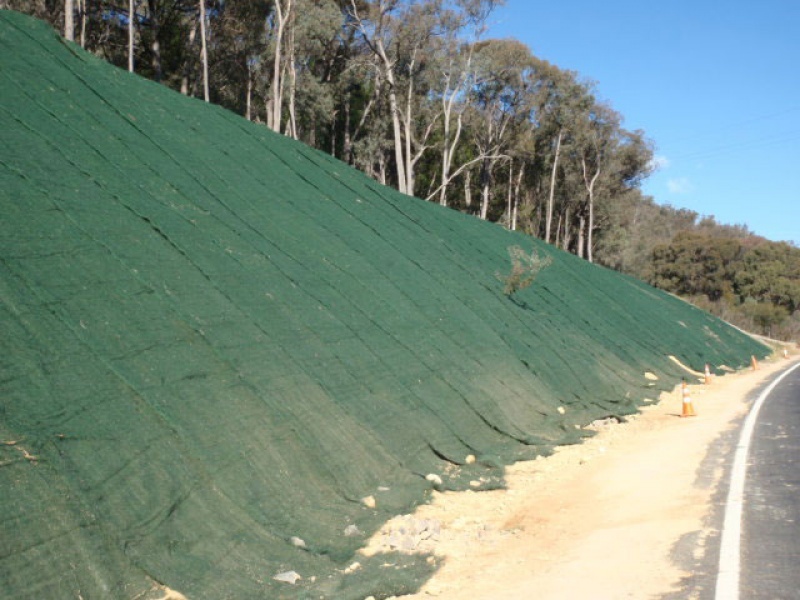 X3 also provides reinforced vegetation with twice the erosion protection of other TRMs and erosion control blankets. Landlok® TRMs are available in 1st or 2nd generation material construction. Our 1st generation TRMs are constructed of a dense web of polypropylene fibers positioned between two biaxially oriented nets. 2nd generation TRMs feature a 3-dimensional woven material construction which allows increased design life over 1st generation netted, fused, glued or stitch-bonded TRMs. 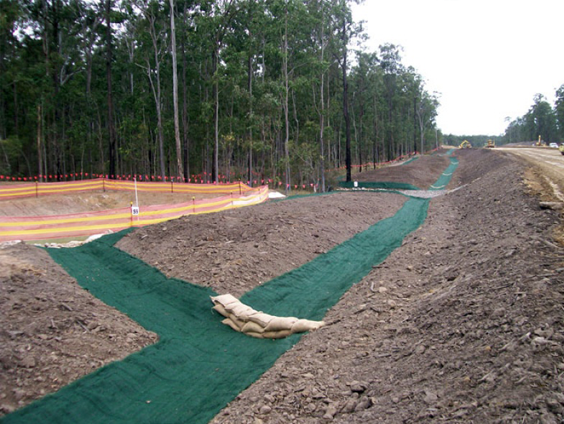 All of our TRMs are made of 100% synthetic, ultraviolet (UV)-stabilized components and are completely non-degradable. First generation TRM. 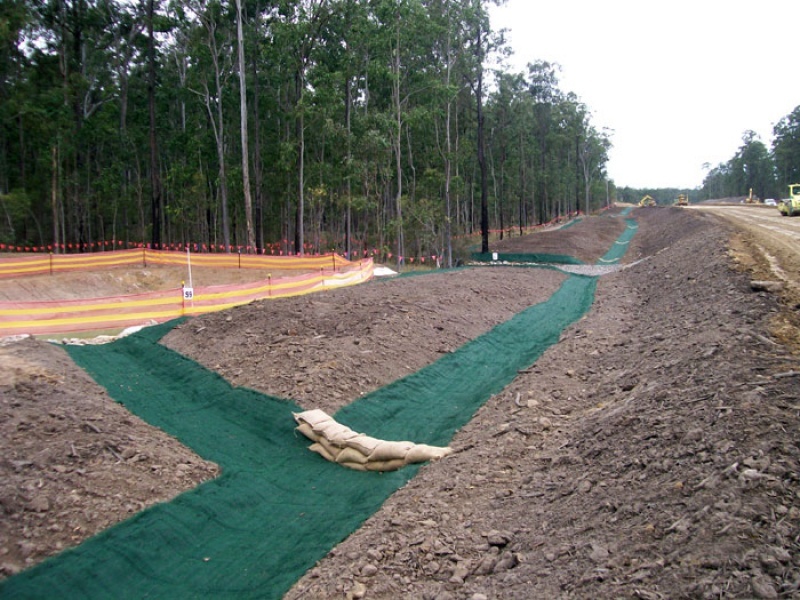 Uniquely designed for moderate-flow channels and steep slopes. 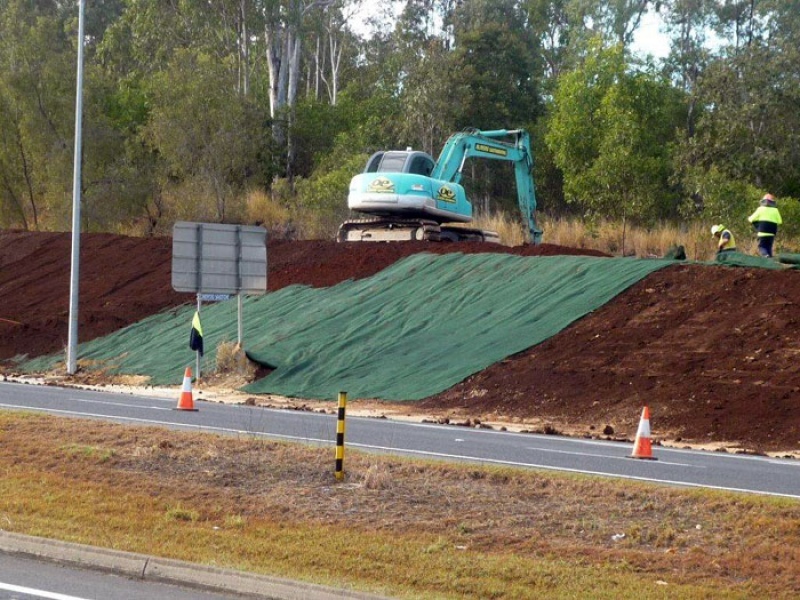 Synthetic construction for long-term ground cover and erosion protection. The industry standard in TRMs. Available in green or tan. 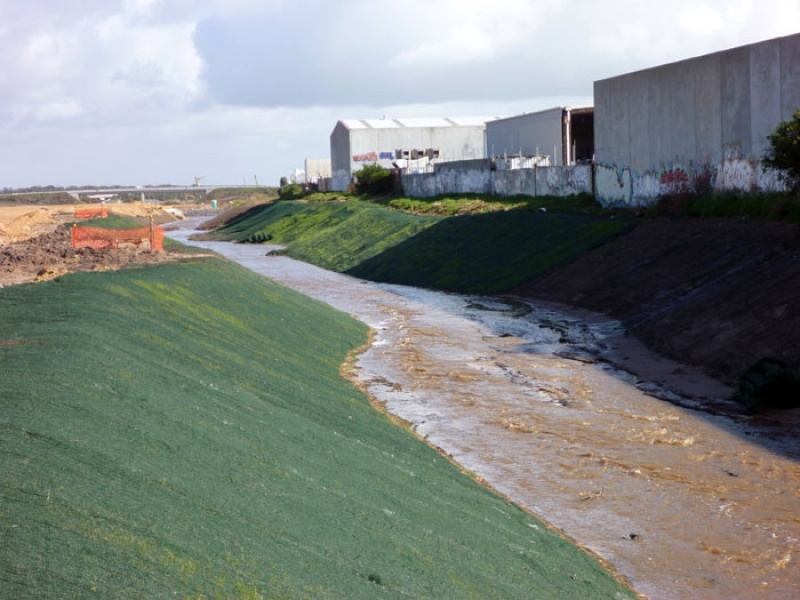 Due to continued development upstream, the potential for flooding was greatly increased by reduced opportunity for natural groundwater recharge by natural channels. 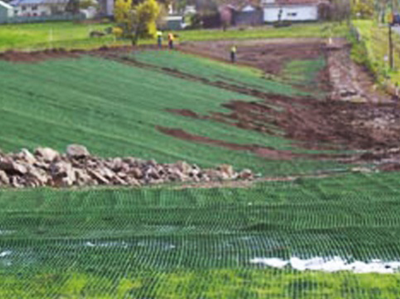 The City of Albury were concerned this flood protection bank would fail and erode away during a significant storm event.